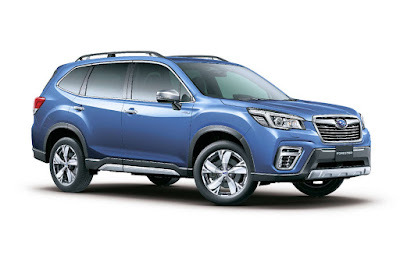 Coming from a high where the Subaru XV was adjudged the “safest car ever made in Japan,” Subaru announced that its all-new Forester has received a similar citation also from the Japan New Car Assessment Program or JNCAP. The Forester’s score is 122.3 points out of a possible 200, netting it a rating of ASV+++ (Advanced Safety Vehicle Triple Plus)—the highest rating JNCAP gives. It short of the Subaru XV’s impressive 199.7 out of 200 score last year but that’s because the JNCAP changed its testing procedure this year. Starting this year, JNCAP added a new test for Pedestrian Autonomous Emergency Braking (AEBS) in night—with street light conditions. Another added test is for acceleration control systems for pedal misapplication. Equipped with the EyeSight driver assistive technology, Subaru says its new Forester passed those tests easily. Currently, the carmaker says over 2 million cars around the world have been shipped with EyeSight—a testament to their principle of “all-around safety” for drivers and passengers. The all-new 2019 Subaru Forester is slated for a Philippine release in the third week of January.